The hotel reopened in July 2018 after its long refurbishment. This neoclassical frontage and interior replaced one dating to the 1960s, and is a reflection of how the UK in the first part of the twenty-first century is often looking backwards rather than forwards in time. 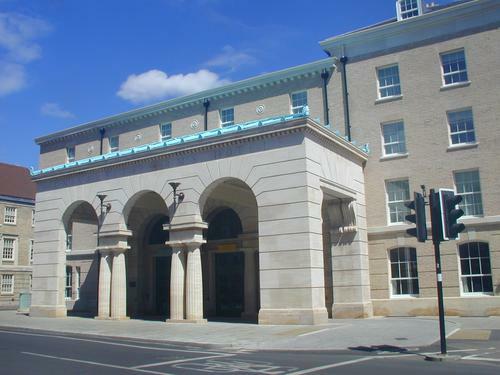 The porte-cochère for arriving vehicles is the main exterior feature.